"For the exotic Caribbean vibe – this is where Mars's "taste of paradise" Bounty bar advert was filmed in the early 1970s. 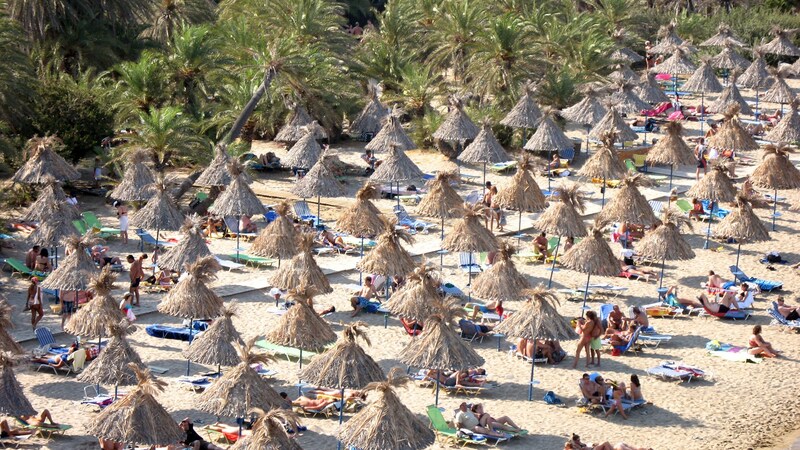 Also known as Finikodassos (Palm Beach), this gently curving golden sand beach is backed by Europe's largest natural palm grove – some 5000 towering trees in an oasis fed by a stream – which have stood here for over 2000 years. According to legend, the palms grew from date stones discarded by Saracen pirates and washed up by the sea."